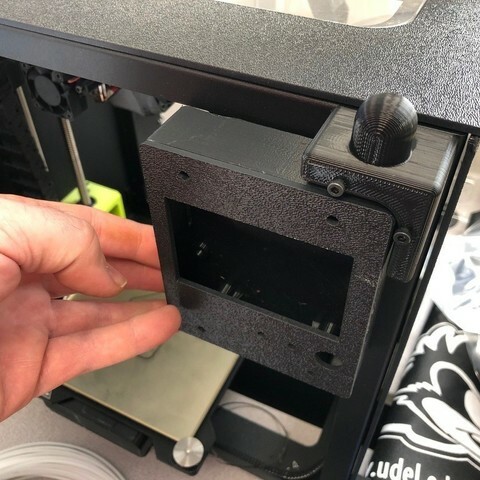 If you have the Lulzbot Mini Enclosure by Printed Solid and have the new LCD control panel from Lulzbot then this new right bracket will allow you to mount the LCD and the enclosure together. Remove the existing bracket and replace it with this one. 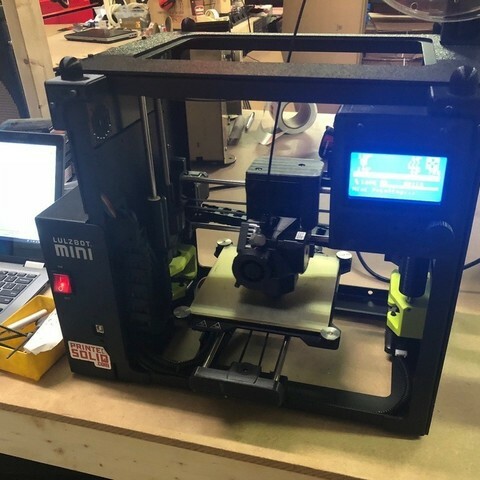 Using the same M3-40 bolt it will go through the bracket and through the frame of the printer and then thread into the LCD mount bracket. Go slow and be careful. Unfortunately you will be going through two threads, the one on the frame and the one on the LCD mount. So go slow and if it takes force to turn the screw you might be double threading the LCD bracket or pushing the heat insert out of the LCD bracket. 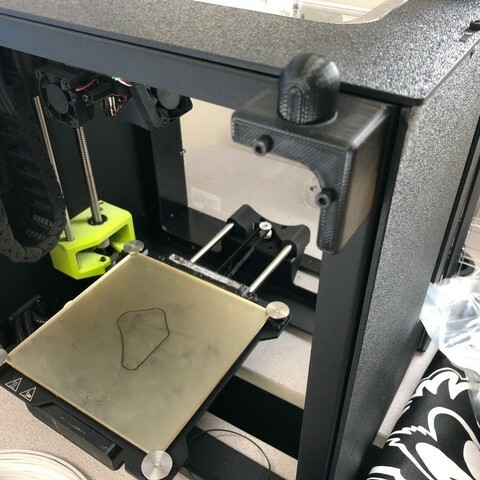 You will need to remove The stiffener on the top of the enclosure part "H"